Talking about the M&A activity in Ukraine, 2017 was a much more fruitful year that to 2016. The stabilisation of the Ukrainian economy, absence of serious bursts of military activities in Eastern Ukraine, and generally stable national currency contributed to the increase in M&A activity. To mention specific positive factors, issues of eurobonds by Kernel (a leading exporter of sunflower oil and grains), MHP (one of the leading poultry producers in Europe, which is based in Ukraine), and the State of Ukraine were a good sign for investors. Kernel’s issue of eurobonds boosted their own acquisition capabilities, which resulted in two major M&A deals in the agricultural sector, which we describe below. Simultaneously, the blockade of Donbas, upcoming Presidential elections, and the absence of IMF tranches for a lengthy period were negative factors that to some extent slowed down the M&A activity in the country. In terms of the types of investors that were active in 2017, local investors remain the most active ones, followed by international investors with presence in Ukraine (like Auchan). Right now, we notice that even international investors with no presence in Ukraine seriously consider buying Ukrainian targets. — AgroInvest Ukraine group that manages over 27,500 hectares of leasehold farmland and approximately 170,000 tons of grain storage capacity. — International insurance group INGO sold its local subsidiaries to DCH Group, controlled by Oleksandr Yaroslavskyi. On the positive side, there was some serious M&A appetite from foreign investors targeted at the renewables sector, however, many deals are yet to be completed. M&A activity in the retail sector demonstrated by Auchan group (a French international retail group) were truly inspiring. In September 2017, it acquired the Karavan hypermarket chain, following which Auchan nearly doubled its presence in Ukraine. It will now operate 20 hypermarkets in nine cities of Ukraine and employ approximately 7,000 people. In the same sector, Billa (an Austrian supermarket chain) that has been present in Ukraine since the end of 1990’s sold some of its stores in regions, but strategically chose to remain in Ukraine. And, of course, similarly to previous years, on the back of the global M&A activity, we have seen some of global transactions involving Ukrainian elements. For instance, in December 2017, Deere & Company (a NYSE-listed American manufacturer of machinery) announced its acquisition of the Wirtgen group (a leading manufacturer of road construction equipment headquartered in Germany) with the latter including its Ukrainian subsidiary. Another example is the announcement of the acquisition of Stella Pack (a major manufacturer and distributor of household products) by Coast2Coast (a South-African investment company) in September 2017. Once again, the Ukrainian business was part of the deal. We believe that 2018 should be more active than 2017. Continuation of reforms, as described below, full-fledged privatisation (hopefully to kick off this year), and IMF tranches will provide investors with sufficient comfort that Ukraine is heading towards the right direction. Over the course of 2017 and early 2018, there were numerous long-overdue and highly anticipated legislative developments. The key ones were: (i) fundamental changes to the Law on Joint Stock Companies; (ii) adoption of the Law on Limited Liability Companies; and (iii) introduction of the concept and regulation of corporate (shareholders’) agreements. Let us look at each of these changes in detail. On 4 June 2017, the Law On Amendments to Certain Legislative Acts of Ukraine on the Improvement of the Level of Corporate Governance in Joint Stock Companies (JSC Law) became effective. It introduced a much-needed pro-majority shareholder squeeze-out mechanism and a pro-minority sell-out mechanism. Furthermore, it created the legal framework for the similarly long-anticipated concept of escrow account. The JSC Law provided additional safeguards for pledgees in relation to pledges over bank accounts and eliminated burdensome formalities related to the change of the type of a joint stock company (JSC) or its re-organisation. The JSC Law also substantially amended the tender offer (mandatory bid) procedure (mandatory acquisition by the majority shareholder of shares held by minority shareholders) for private JSCs to improve protection of minority shareholders. It further implemented certain provisions of EU Directive 2004/25/EC on takeover bids into Ukrainian corporate legislation, which will significantly improve the level of corporate governance in Ukrainian JSCs. On 6 January 2018, the Law On Amendments to Certain Legislative Acts of Ukraine on Facilitation of Conducting Business and Attracting Investments by Securities Issuers became effective. Its primary aim was to make a clear distinction between genuine public JSCs and quasi-public JSCs. From now on, only those JSCs with shares listed on a stock exchange will be considered as public JSCs. Rules governing activities of private JSCs will apply to all other JSCs. This law also improves the process of issuing securities (particularly, public offering of shares), amends the procedure for disclosing information by different types of securities issuers, and facilitates corporate governance of JSCs. Moreover, it introduces a concept of bonds convertible into shares and permits disapplication of a statutory pre-emptive right of shareholders to buy shares in a new share issue. On 6 February 2018, Law of Ukraine On Limited Liability and Additional Liability Companies (LLC Law) was adopted. The LLC Law provides for complex regulation of incorporation, operation, and dissolution of limited liability and additional liability companies. In general, the LLC Law aims to set flexible regulation of the limited liability companies’ (LLCs) operation. The majority of its provisions are discretionary and may be changed for certain LLCs in their charters. The LLC Law provides for numerous changes in regulation of the LLC activity. The most significant developments introduced by the LLC Law are: (i) possibility of funding from third parties; (ii) flexible corporate governance; (iii) right to establish a supervisory board; (iv) electronic voting; and (v) cancelled requirement for a mandatory quorum of the general participants’ meeting. It also contains detailed regulation for pledging of participatory interests, something that was always a tremendous problem for any lender in Ukraine. 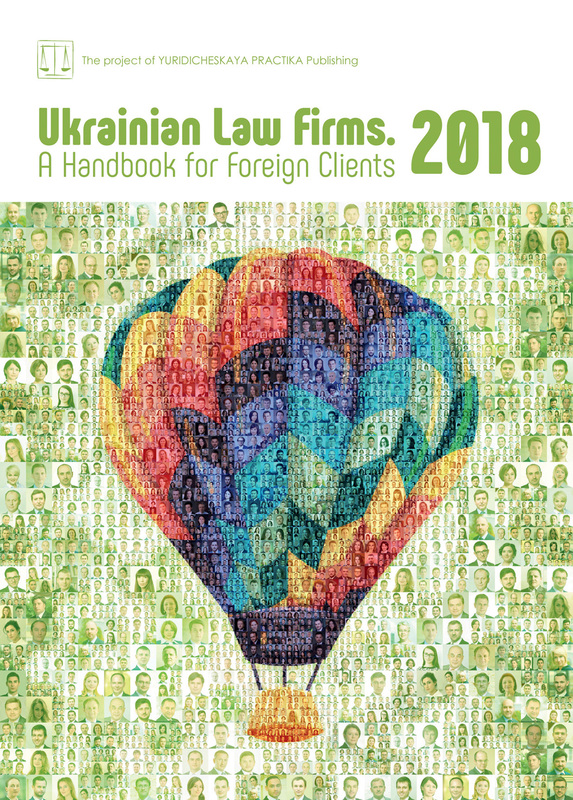 On 18 February 2018, Law of Ukraine On Amendments to Certain Legislative Acts of Ukraine Related to Corporate Agreements (SHA Law) became effective. The SHA Law provides for a long-awaited possibility for participants and shareholders of Ukrainian business companies to enter into corporate (shareholders’) agreements to regulate the most important corporate relations according to their commercial arrangements. The parties to a corporate (shareholders’) agreement will be permitted to settle, at their own discretion, such important matters of corporate relations as the procedure for disposal of participatory interests/shares, including predetermination of the sale price and voting method at the general meeting. It is expected that from now on, both participants of LLCs and shareholders of JSCs will be able to use such well-known instruments of corporate governance in joint ventures, as right of first offer (ROFO), right of first refusal (ROFR), tag along, drag along, deadlock resolution mechanisms, etc. The SHA Law introduces irrevocable powers of attorney to exercise corporate rights. — Draft Law No. 5068 On Corporate Bonds, which is aimed at providing an alternative to private financing in Ukraine, typically, by offering low risk and high income for the issuers. This law should also introduce the long-awaited institute of trustee, as well as the institute of general meeting of bondholders.